Pancakes and Perseverance: Grey's Anatomy and my last day on earth. Grey's Anatomy and my last day on earth. If I were to write a 4th grade English assignment on how I spent my summer, I'm sure I'd mention the many trips to the water park with my kids. The trip to Six Flags for my son's sixth birthday. The four (Yes, four!) birthday parties for our family. (We are all born in August, and let me tell you, planning that many parties is exhausting...) I'd mention the one night spent at the beach with my husband in the midst of flash flooding and the "vacation" to a kiddie amusement park. I'd also mention the hours and hours of driving my son around to his various Vacation Bible Schools, cooking classes, Lego builds and birthday parties. It was a lot. But, I did get a tan, so there's something. 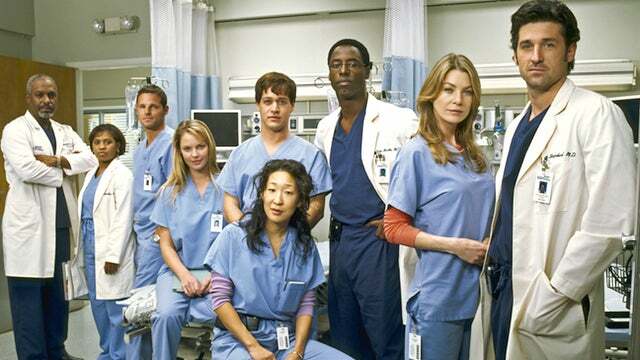 My guilty pleasure of the summer, if you will, was watching Grey's Anatomy for the first time ever (I know...I know!) I wanted to see what all the fuss was about. My long-time spiritual director encourages me to do this kind of thing. So-called guilty pleasures that have nothing to do with my real life. Something to watch that takes me out of the real world for awhile. Anyway, I enjoyed it. I didn't "binge watch" it like normal people do. The only thing I'm binge watching lately is Thomas the Train. But, I did watch three seasons over the summer. George and Meredith and Izzy became my stand-in friends and I wanted to "catch up" with them every evening. I do get annoyed with Meredith's narcissistic tendencies and the on-call room activities, but it's fun to be in a different world for awhile. A few Grey's quotes have stuck with me. Like this one: "If you knew this was your last day on earth, how would you spend it?" My first thought was, "Wow. That is so profound." I wanted to go out and live that life right now. I wanted to go to Italy and write a book and show my kids the Grand Canyon. I had my passport in hand, just staring at it. Then I realized, if it really was my last day on earth, I'd probably spend it just like I am. I can't shirk all of my responsibilities and go out and live just for me. I still have to get my son to the bus and my daughter to preschool. I have to make sure they have hot meals and my husband has clean towels and uniforms. Does responsibility keep us from living the life we want or is it just part of our lives? We can still live a life of adventure, creativity and love in the midst of these daily monotonies. I'm hoping that's the case. Because life would be pretty boring if we didn't. I didn't start watching This is Us until 2/3 of the way thru the season...so on a real cliff hanger episode, I was able to just start the next episode....I'm not sure how I'm going to deal with having to wait a week this season! !